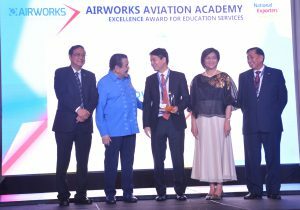 December 5, 2017 – Airworks Aviation Academy has been selected in National Export Congress 2017 for Service Excellence Award in field of Education Services, held at Philippine International Convention Center, Pasay City. 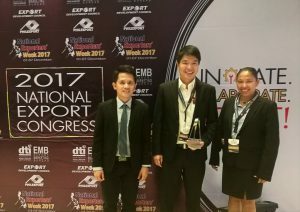 Each year, the Department of Trade and Industry- Export Marketing Bureau (DTI-EMB) identifies companies that have been exceptional in their contribution to the industry and exhibited excellence in their respective fields. 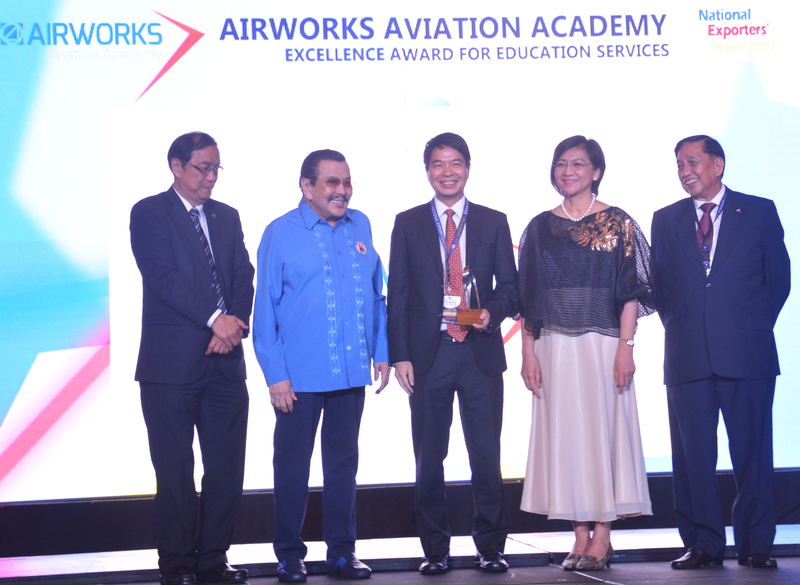 Also awarded were those that started small, but were able to excel in overseas-market penetration and have executed outstanding performance and contribution as an industry player to the sector as manifested through a selection criterion and nominated by the industry and association. 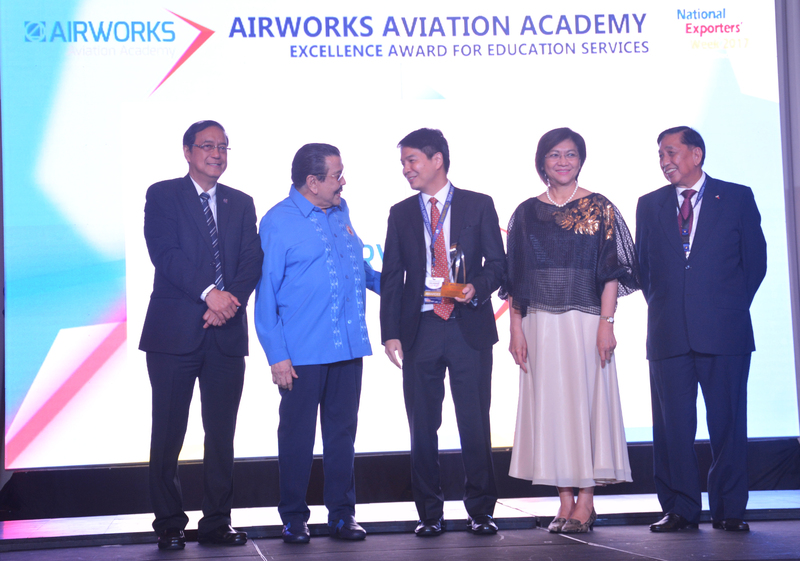 Other awardees for Services Award were Advanced World Solution Inc. Information-Technology-BPM, Affinity Express Philippines Inc. (Creative Services), ExlService Philippines Inc. (Health Information Management) and Potato Corner (Franchising Services). Honored for Top Sectoral Award were Texas Instruments Philippines Inc. (Electronics), Pilipinas Kao Inc. (Chemicals), Taganito HPAL Nickel Corp. (Other Mineral Products), Hanjin Heavy Industries and Construction Group (Machinery and Transport Equipment), Shin-Etsu Magnetics Philippines Inc. (Electronic Equipment and Other Parts), House Technology Industries PTE Ltd. (Woodcraft and Furniture), Nestle Philippines Inc. (Processed Food and Beverages), Dole Philippines (Fresh Bananas), Takata Philippines Corp. (Metal Components), Pilipinas Kyohritsu Inc. (Ignition Wiring Sets), Cargill Oil Mills Philippines Inc. (Coconut Oil) and Metro Wear Inc. (Articles of Apparel and Clothing Accessories). Data from the Philippine Statistics Authority in 2016 served as the basis for giving the awards to the companies. 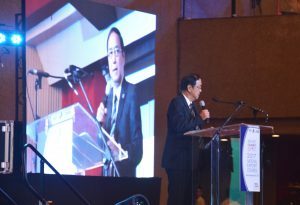 Department of Trade and Industry’s Export Marketing Bureau (DTI-EMB) Director Senen M. Perlada; Manila Mayor Joseph Ejercito Estrada; Airworks Aviation President Vincent Charles Ong; DTI Undersecretary Nora K. Terrado; and PhilExport President Sergio Ortiz-Luis Jr.
Department of Trade and Industry’s Export Marketing Bureau (DTI-EMB) Director Senen M. Perlada. The Department of Trade and Industry-Export Marketing Bureau together with the Export Development Council and the Philippine Exporters Confederation, Inc. spearhead the National Export Congress (NEC), the highlight of the week-long celebration of the National Exporter’s Week (NEW). This activity is an annual event as stipulated under Presidential Proclamation 931, series of 1996 and House Resolution No. 33, declaring the first week of December as the Exporters’ Week. The event aims to promote and enabling business environment by assisting MSMEs, exporters and domestic partners in enhancing their capabilities in supplying and maintaining their presence in international markets. 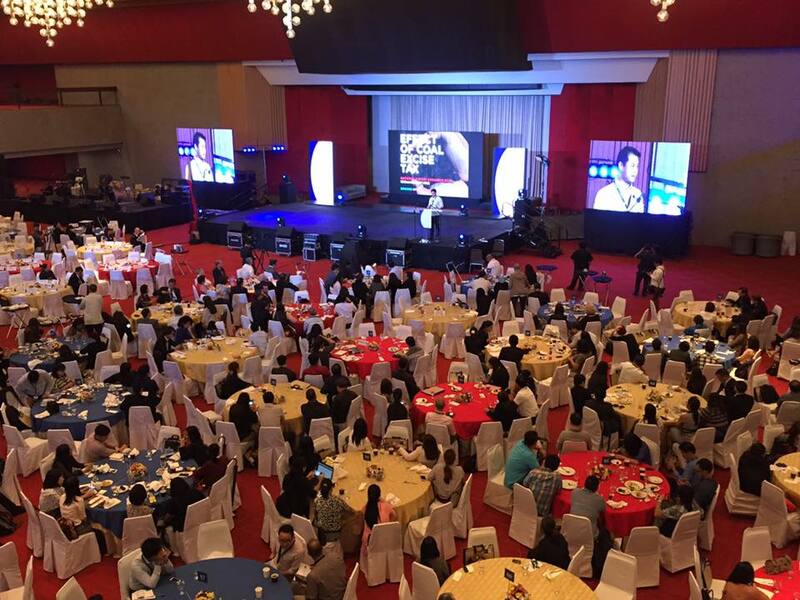 Senator Win Gatchalian delivers his speech during the NEC Week celebration.